Improve your online presence by ranking on the top search engine results page. A major factor in whether a website is well ranked in Google is whether the website has been structured and built in a SEO-friendly way. Designers and developers at XAPP Design all have an expert understanding of the principles of SEO. Our SEO services help drive traffic to your website by improving keyword rankings in search engines. Our digital marketing strategy is built on the foundation of driving measurable results. We take an omnichannel approach to online marketing with a focus on increasing conversions, repeat traffic and generating greater brand loyalty online. An initial SEO audit, including competitive review and keyword research, is conducted. This allows us to build a cohesive project plan with a clear outline for implementation, effectiveness, and success. 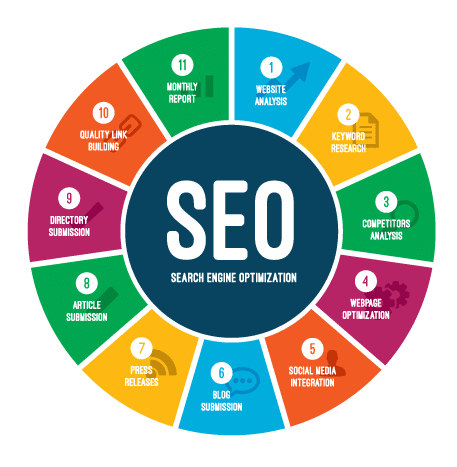 Our objective is to not only maximize ROI through SEO but to also provide clear insights and strategies on how other digital marketing channels can influence our client’s online presence.